MapIt can easily be embed anywhere! Inside an HTML file or with any dynamic page such as ASP.net, Java Server Pages, PHP and more. Integrat MapIt into great tools such as WordPress, Joomla, Drupal, Orchid and many others. MapIt is a jQuery enabled plug-in that interacts with Google Maps API. The plug-in is designed to make navigating and finding key coordinates anywhere in the world a simple process. Completely driven by XML over AJAX, this plug-in helps you group and organize all your location links. The easy to edit XML configuration file allows you to create groupings of your coordinates and display them in a hierarchical format. This plug-in is great for organizing and simplifying your maps. No need to learn the Google API, we have abstracted all the hard work for you. Embeding a mapping engine into your site just got easier!! Please see the MapIt knowledgebase, with guides, FAQs, videos and other resources. 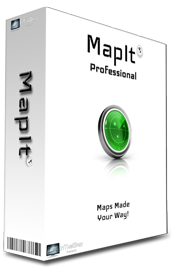 Because MapIt is a free product we currently do not offer training/setup/migration or one on one help.